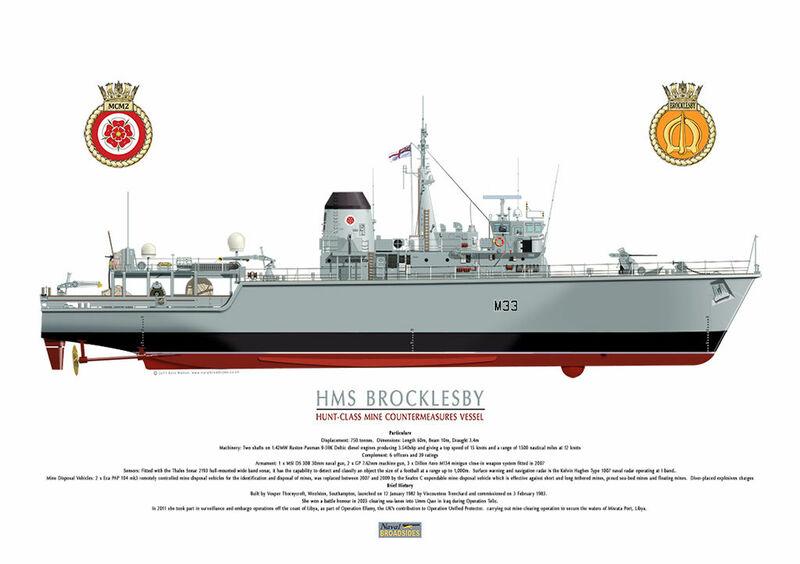 HMS Brocklesby Built by Vosper Thornycroft, Woolston, Southampton, launched on 12 January 1982 by Viscountess Trenchard and commissioned on 3 February 1983. She won a battle honour in 2003 clearing sea-lanes into Umm Qasr in Iraq during Operation Telic. In 2011 she took part in surveillance and embargo operations off the coast of Libya, as part of Operation Ellamy, the UK's contribution to Operation Unified Protector. carrying out mine-clearing operation to secure the waters of Misrata Port, Libya.